Guess what? POPSUGAR Now is officially on TV! They will be coming to you from their studios in New York, Los Angeles, and San Francisco, bringing viewers celebrity news, fashion, and lifestyle content throughout the award season. 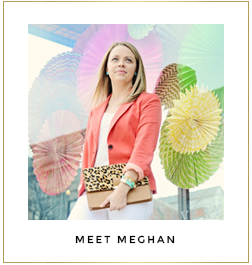 Their amazing POPSUGAR reporters and hosts you already know and love will be bringing you everything you need to know. They will be behind the scenes and reporting from the action at all the biggest events of award season and showing you how to eat, drink, exercise, and stay connected like the stars. I love browsing the POPSUGAR site. They are a one-stop source for fashion, shopping and celebrity news. I will definitely be tuning into the show to get the lowdown on all the hottest looks and trends! It is my kind of way to wind down after a long day at work. This week they are spilling Blake Lively's secret detox juice recipe among many other things! POPSUGAR Now will be such a fun addition to award season! To kick off the new show, they are also giving away a $100 J.Crew gift card every day this week! Tune into the show for your chance to win! So, get your DVRs ready so you can catch all the action! POPSUGAR Now airs every weeknight at 6:00 P.M. (5:00 P.M. Central) on TVGN. Check your local listings!